There’s a drawer in my house that makes me feel guilty. In this dusty, wooden recess lies a testament to human fallibility. Crumpled paper and plastic packets announce themselves in faded, soil-splattered letters, as Nero di Toscana and French Touchon, Golden Bantam Dolce and Tricolour. Their edges are torn, their contents are leaking, they speak of broken promises and neglect. They share their space for some reason with a hacksaw, labyrinthine tangles of string and some old bulbs that have started to smell weird, all of which may go some way to excusing my reluctance to go there, but there is really no excuse. 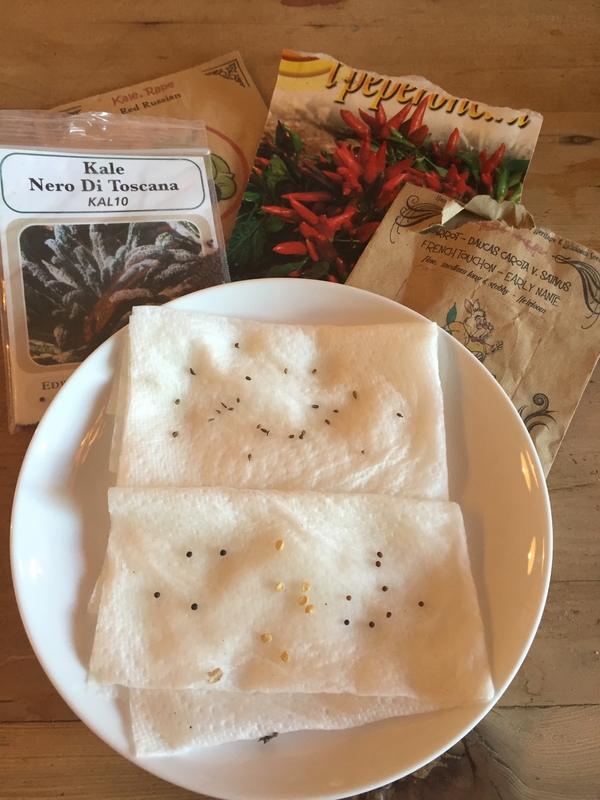 Over the course of the past 5-10 years I have bought these seeds and now I’ve abandoned them. We all have a guilty drawer. Maybe yours is full of foreign coins, 3D cinema specs (yes, we’ll buy another set of four, please) and old mobile phones. 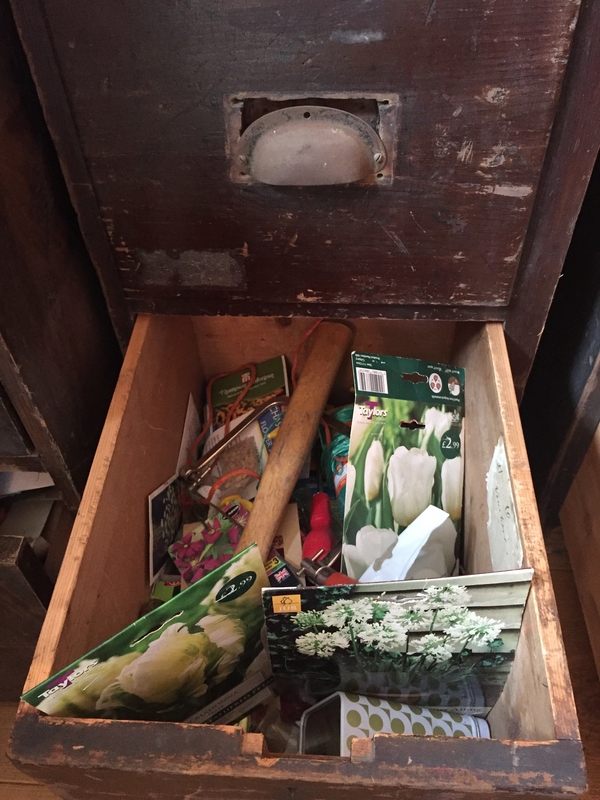 But if you have ever gardened, chances are you have a drawer just like mine. And, as every year goes by, the seeds you bought with such hopes of burgeoning magnificence and harvest glories get older and mustier. You give them a wide berth. Packets of seeds are not expensive, but when you have a drawer of 100 of them, it mounts up. There’s usually an expiry date on the bottom of the packet, two to three years into the future. But when this time is up, should they be thrown away? And what if the packet’s half used up? Do the remaining seeds last as long, their air-vacuumed state compromised? If it was a damp day when you sowed, would that affect the longevity of the rest of the packet? And how long do seeds last if you’ve saved them yourself in old envelopes? For the beginner vegetable grower it can be tempting to throw them away and start from scratch each year. Or, if you’re like me, you just leave them in a dusty, weird-smelling drawer for 10 years and pretend they don’t exist. But no longer! This is the year of the seed drawer and I resolved to do something about it. 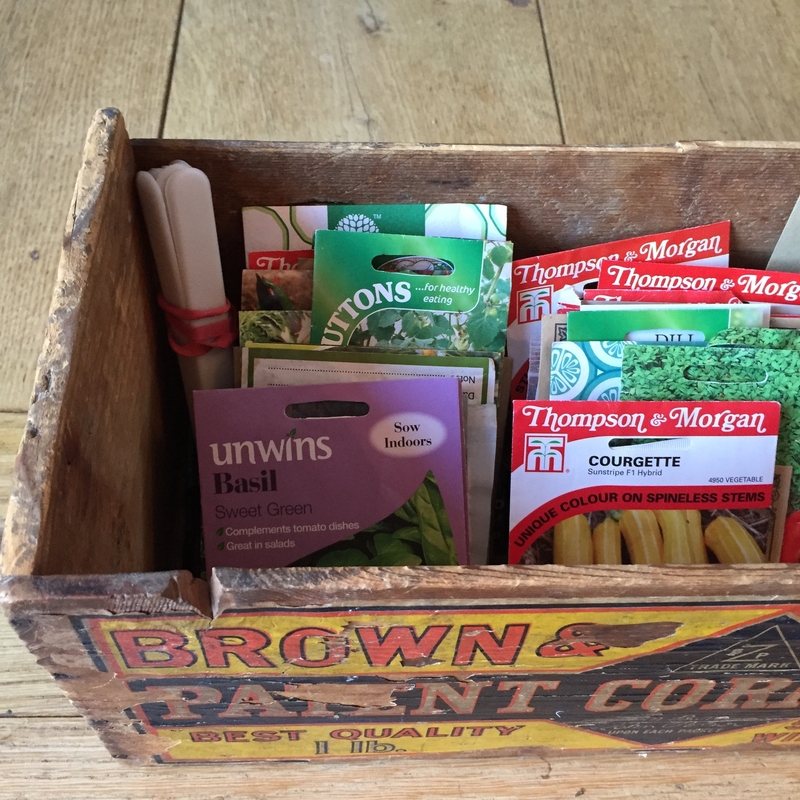 First I put all my old vegetable seed packets in alphabetical order in an old wooden box. I’ve always been childishly opposed to alphabetising, on the grounds that the next step is socks under my sandals and the outlines of tools drawn on shed walls so they hang up neatly (actually, an extremely sensible idea), but as I get older, I find myself embracing these sort of nerdy practices. Because, you know what, complacent former me in my mid 20s, it saves time in the long run! And you won’t cut your hand on a hacksaw when you’re looking for climbing squash. 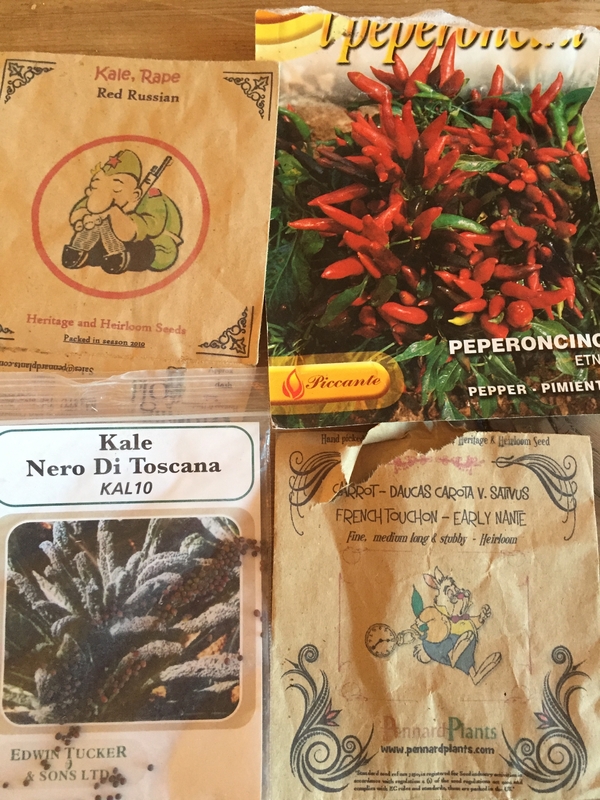 Next I chose some of the oldest, craggiest, sorriest-looking seed packets I could find and sprinkled a pinch of their seeds on moist kitchen paper on a plate. I can remember buying some of these carrot, kale and chilli seeds when my kids were teething. They’re now playing rugby and showing me how to use social media. Making sure to label the seeds, I then put clingfilm over the whole lot and put the plate on a windowsill inside. There is no need to water – the clingfilm keeps them moist. After two weeks, everything that is going to germinate will have done. Over the next few days, my seeds gradually plumped up until, bingo, some actually put out a tentative white root. Six days in, and most of the carrots have already germinated and two kale seeds are leading the way. The chillis have eight more days to prove themselves. There’s life in (some of) the old seeds yet! But how much? And how does this help? 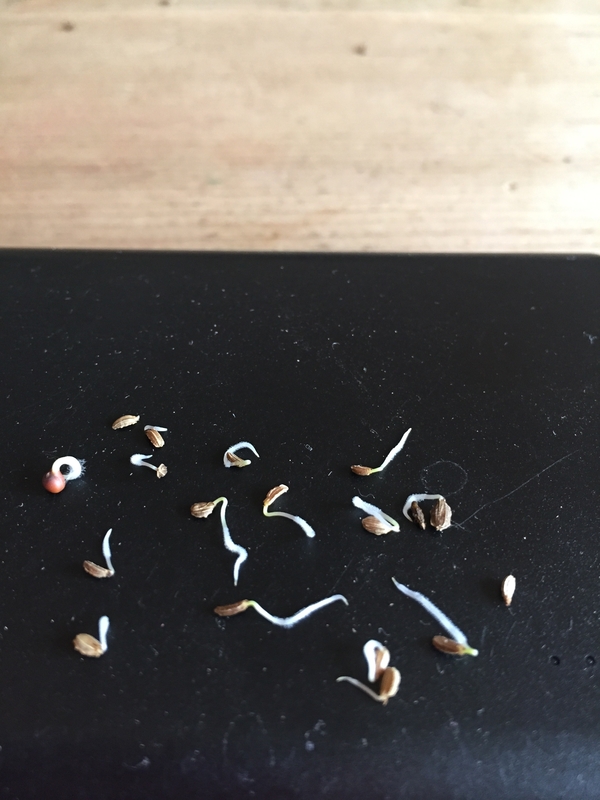 Well, if, after two weeks, half the seeds germinate, I know I have to sow double the quantity to get the same rate of germination. If only one in 5 actually germinate, then I sow five times as much. If none germinate, I chuck them away with a clear conscience. Author AlexMitchellPosted on March 10, 2017 March 10, 2017 Categories UncategorizedLeave a comment on Don’t throw it, sow it!